The Gerard Mclarnon Memorial Cup is our last competition of the season on Saturday starting at 10.30am, and over 5.00pm. A few trophies still to be decided,The Joey O'Neill Cup for runner up in the league is between Brian Bigmore who has 64 points, Wesley McClenaghan and Paul Fulton are both on 62 points,Tommy Mcgrath has 60 points, and Philip Maguire is on 58 points, so all to play for hear. In the junior league Jordan Young and Alan Chambers are both on 36 points going into this last competition, so good luck boys.Damien Scullion has the heaviest Dollaghan so far at 3lb 2oz, Matthew Doyle has the heaviest Brown Trout so far at 1lb 5oz so these are still up for grabs.The swimming award is on going, so if you know of anyone who went swimming this season it is your duty to come forward with this information. Also the Wooden spoon award is also up for grabs, we'll say no more about that just now. Anyone who got gift vouchers last year from Crawford Sports in Magherafelt would need to cash them in before the end of this month. Finally just to remind a few angles to return there trophies to me on Saturday. 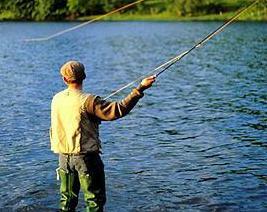 So hope to see a good few angles out on Saturday.Tight Lines. Winner of the Harold Hueston Cup last Saturday was Rusty Steele spinning and worm, in second place was Garilf McQuillan on the spinner, and in joint third place was Paul Fulton & Stanley Aspinall on the worm. And the winner of the Christine Gray junior Cup was Alan Chambers on the spinner. Alan and Jordan Young are both on 34 points in the junior league, so with too competitions to go this is going to be a interesting finish. All Andrew Rainey has to do is turn up for the next competition and he will have the league won, so well done Andrew, Anderw has 82 points, Brian Bigmore has 62 points, Wesley McClenaghan & Paul Fulton are both on 58 points, Tommy Mcgrath has 54 points, Patsy Harkin & Jonny Hurl are on 50 points, Philip Maguire has 48 points, and Stanley Aspinall is on 38 points.Our next competition is The Heron Bros Ltd Cup on Saturday the 23rd of September. Anyone who has trophies from last year could you please bring them along to this competition thank you. The Lough Fea open is on this Saturday starting at 1.30pm ontill 5.30. Everyone welcome, the Lough has been stocked a few weeks ago. Tight Lines. Competition time again on Saturday. The Harold Houston senor cups, and the Christian Gray junior cup,both starting at 10.30 . The water looks good at the moment, so hope it's still good on Saturday. So hope to see a good turnout. Tight Liner. On behalf of the Down's Syndrome Association I would like to thank you once again for your very kind donation of £300.00. Your continued support enables the DSA to provide much needed activities for our children and young adults and we are extremely grateful. I hope you had a very successful day and wish your club all the bust for the future. Syndrome Association. A big thanks to Newbridge Stores & Vivo stores in Castledawson for donated the soft Drinks, and to The Old Thatch Inn in Castledawson for donating the food for the BBQ. after the competition. Also thanks to Stanley Aspinall, Andy Glendinning, and Robin McKnight for donating the prizes for our winners.Once again a big thanks to Theresa Bigmore for kindle cooking the BBQ. Winner of the Moyola Charity Cup was Paul Fulton on the spinner, second was Tommy Mcgrath on the Fly, and in third place was Matthew Doyle spinning, The winner of Francis McAuley Memorial Junior Cup was Jordan Young on the Fly.Our next competition is The Harold Hueston Senior Cup & The Christine Grey Junior Cup on Saturday the of September.In the league Andrew Rainey is on 78 points, in second place is Brian Bigmore on 62 points, Wesley McClenaghan has 56 points, Paul Fulton is on 52 points,Tommy McGrath has 50 points,Patsy Harkin has 48 points, and Philip Maguire & Jonny Hurl are both on 46 points. Our best junior is Jordan Young who is on 44 points, Eimhear McClenaghan has 28 points, and Alan Chambers is on 24 points.Once again a big thanks to everyone who turned up, and to all those who donated money for these two good causes. Tight Lines. The Moyola club had another really good weekend away in Dunfanaghy, with a total of 33 good Trout caught over the weekend. The winner of the Spectrum Cup for the heaviest Trout at 3lb was Adrian McKay, in Second place with a Trout at 2lb 1oz was Brian Bigmore, and in third place was Tom Davis with a Trout at 1lb 9oz. The winner of The Jack Lennox Cup for the best shore angler was Barny McNicholl with a total of 2lb 2oz, in second was junior angler Alan Chambers with a good Trout at 14oz,in third place was Andrew Rainey with a Trout at 13oz. The winner of the Moyola Angling Still Water Cup for best boat was Brian Bigmore with a total of 6lb 9oz, in second place was Adrian McKay with a total of 6lb 6oz, and in third place was Tom Davis with a total of 3lb 6oz. The pairs competition was won by Brian Bigmore & Tommy McGrath, this competition was sponsored by H & D painting contractors,so a big thanks to them. This leaves Andrew Rainey still at the top of the league with 74 points,followed by Brian Bigmore on 58 points, Wesley McClenaghan has 54 points, Patsy Harkin is on 46 points,Philip Maguire & Jonny Hurl are on 44 points, Paul Fulton & Tommy McGrath are both on 42 points. The Moyola charity competition and B.B Q is on this Saturday,starting at 10.30 in Castledawson, The Francis McAuley Memorial Junior Cup is also on this Saturday, so hope to see a good few anglers out. Winner of the Robert Hueston Cup was Matthew Doyle on the spinner,in second was Paul Fulton on spinner,and in third place was Jonny Hurl with a Dollaghan at 1lb 5oz on the fly. The league table has Andrew Rainey on 56 points,Wesley McClenaghan next on 48 points, Paul Fulton has 42,Brian Bigmore has 40 points, Jonny Hurl,Patsy Harkin and Philip Maguire are all on 36 points,Tommy McGrath has 34 points, and Stanley Aspinall is on 28 points. Best junior is Jordan Young on 32 points, and Eimhear McClenaghan is on 24 points.The Colin & Hannan Doherty Memorial Cup this Monday evening is our last evening competition, and starts at 7.00 until 11.00. Anyone going on our away trip to Dunfanaghy can you please bring your money to me at the competition on Monday evening. Tight Lines. Last Monday evening the annual McGuire Cup competition was won by Andrew Rainey on the worm, in second place was Paul Fulton on the worm, and in third place was Rusty Steele also on the worm.This competition puts Andrew back on top of the league by two points, Wesley McClenaghan is next on 42 points, Brian Bigmore is on 38 points, Paul Fulton has 34 points, Philip Maguire has 30 points,Jonny Hurl, Patsy Harkin, and Tommy McGrath are all on 28 points Our best junior is Jordan Young on 22 points, and Eimhear McClenaghan is on 16 points .Our next competition The Wilbert Pickering Cup is on this Monday the 12 th, starting at 7.00 to 11.00. Next up is the Charis charity Open at Lough Fea on the Saturday the 24 th of June. Tight Lines. The winners of the Glenview Perpetual Cup was Wesley McClenaghan on the spinner, Wesley is now on 11" Trout for the next two competitions, in second place was Philip Maguire on the spinner, and in joint third place was Jonny Hurl on the Fly, and Brian Bigmore on the worm.Wesley goes to the top of the league now on 38 points, followed by Andrew Rainey and Brian Bigmore both on 34 points,Jonny Hurl, Philip Maguire,Tommy McGrath and Paul Fulton are all on 26 points, Patsy Harkin has 24 points, and Stanley Aspinall is on 20 points. Our next competition is The Maguire Cup this Monday evening starting at 7.00 to 11.00.Tigth Lines. The winner of the McCracken Cup last Monday evening was Paul Fulton on the spinner, in second place was Brian Bigmore also on spinner, and in third place on the fly was Stanley Aspinall. This Monday evening the 22nd is the Glenview Perpetual Cup, starting at 7.00pm onto 10.30pm. The league after 7 competition has Andrew Rainey on 32 points,Brian Bigmore and Wesley McClenaghan are on 28 points, Paul Fulton has 26 points,Tommy McGrath has 24 points, Patsy Hardin is on 22 points,Jonny Hurl is on 20 points, Seamus Donnelly, Philip Maguire, and Stanley Aspinall are all on 18 points. So hope to see a good few out tomorrow evening. Tight Lines. Monday is the start of our evening competitions with The McCracken Cup up for grabs,it starts at 7.00 pm and is over at 10.00 pm.After six competitions lasted years junior champion Andrew Rainey is the leader on 32 points, nexted is Wesley McClenaghan on 26 points, Tommy McCrath is on 22 points, Brian Bigmore is on 20 points, Philip Maguire, Jonny Hurl,Patsy Harkin and Seamus Donnelly are all on 18 points. Our best junior is Jordan Young on 18 points,and James Brunton is on 10 points.with this good weather we should see a bit more fly life on the water.Tight Lines.